« Literary blog hop giveaway – celebrating women writers of the past. Thank you for this review and the walk down memory lane. 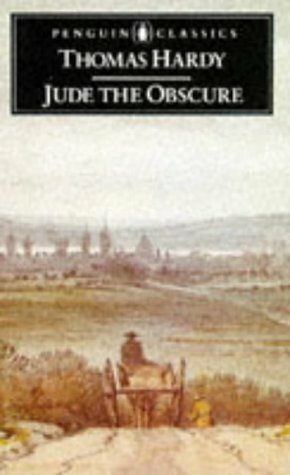 “Jude” is one of my all-time favourite novels but it’s been almost a decade since I last read it. The brilliance somehow makes up for the bleakness, perhaps even makes it more poignant. Yes I think that it does. And what a terrific portrait of Hardy! I don’t think I’ve ever actually seen a photograph of him before. I always enjoying seeing author pictures. It’s been a very long time since I read Hardy, well done you for taking him on and finding such a gem, I must add this one to my list. I love Hardy. I don’t think I will ever tire of reading him. I recently re read The Mayor Of Casterbridge …..a total delight. I had forgotten what an acute observer he was. Must re read more. The Mayor of Casterbridge is brilliant, I’ve read it three or four times. Interesting that we both noted Jude’s passiveness, he does seem to be pushed around like a counter or chess piece by the women in his life. I’m so glad I re-read this, got a lot out of it, noticing echoes etc. (like when Jude walks along parallel to both Arabella and Sue) without having to write an assessed essay on it! Yes it would make for an intense subject for study. Fabulous review, Ali! I shall have to add it to my to-read pile. I need to read more Hardy. I’ve only read two novels — Tess when I was about 16 and then The Return of the Native a few years ago. I loved both novels. Oh yes do read more Hardy. Far from Madding Crowd, under the Greenwood Tree and the Trumpet Major are among my favourites. What a very good review of Jude! Hardy writes so beautifully that I have reread several of his novels in the last few years. I wish I could reread Jude again, but am not sure I can face “Father Time.” Perhaps I should do it for the portrait of a marriage, i.e., couple.